Free Music Archive: Prize Package for the Masters Remastered Challenge! You came this way: Home > cheyenne_h > Blog > Prize Package for the Masters Remastered Challenge! Prize Package for the Masters Remastered Challenge! You wanna know what you will win if you are the best at Remastering the Masters?? Well, we'll tell you. First of all, you'll get a Moog Etherwave Theremin! 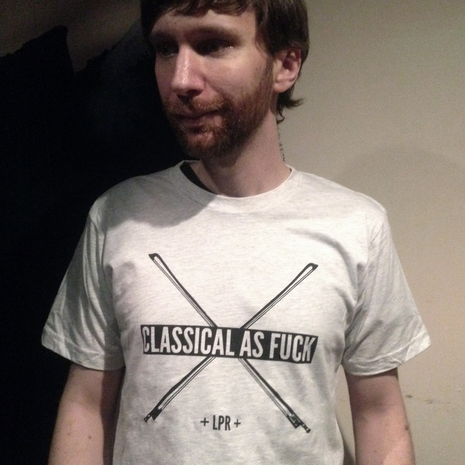 And also a shirt from Le Poisson Rouge that, appropriately, proudly declares that you are "Classical As F*ck"! So, get composing, y'all! We accept submissions until April 3rd, 2015.